As a 5th grade teacher, outer space and principals of aeronautics are not part of the science curriculum I am responsible to teach. So what could a week at Space Camp possible offer me? Wow. A better question would be, What did it not offer me? 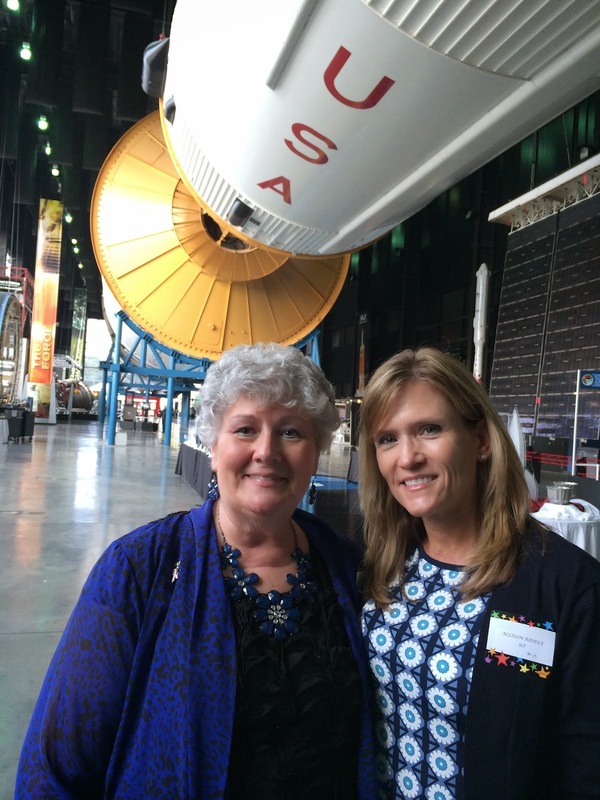 My week in Huntsville, AL at the U.S. Space & Rocket Center has left me with greater insight into what my students often experience in the classroom and how important it is for me to focus more on non-cognitive skills. My group - Team Kibo - was made up of 12 teachers: 7 U.S. teachers and 5 international teachers from Bangladesh, Belgium, Germany, and Norway. Initially we struggled to communicate, partially because of accent barriers, and partially because we were somewhat timid. Our conversations were polite, and we were slow to really get to know each other. 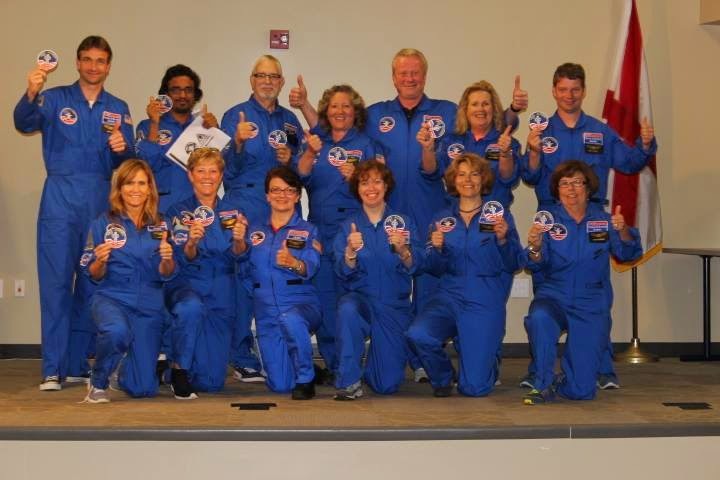 During our first mission, however, we quickly learned that it would take a focused effort to communicate in order to complete our mission successfully. How often do we include activities in our lessons designed specifically to increase meaningful conversations between students? How can we teach students to ask questions about each other that will increase an appreciation of cultural differences? During my Space Camp missions, I very quickly learned to appreciate how awkward it must be for my students to complete group tasks with students they don't know very well. Students whose background and language may seem different to them. During our missions, when we were given 'anomalies' to solve, things were tense. We had to rely on each other to find the solution in our mission books, which was difficult for some of our 'aging eyes'. I found myself whispering silly phrases into my headset such as "Talk to me, Goose," or "Ground Control to Major Tom," or the inevitable, "Houston, we have a problem." The humor helped break the tension, and we were able to ask questions as to where we were in regards to the solution. Do we encourage students to use humor in problem solving situations? Do we use and model humor appropriately in the classroom? Do we partner up less social students purposely to create comfortable dialogue, giving them a safe place to reason aloud and critique the reasoning of others? Once I got to know every one of my team members better, I felt so much more comfortable pairing up with them and sharing my ideas in both our missions and lab activities. The experience reminded me just how awkward situations can be for our students, and how helpful humor can be to alleviate stress. During our lunar mission, just about everything that could go wrong did. 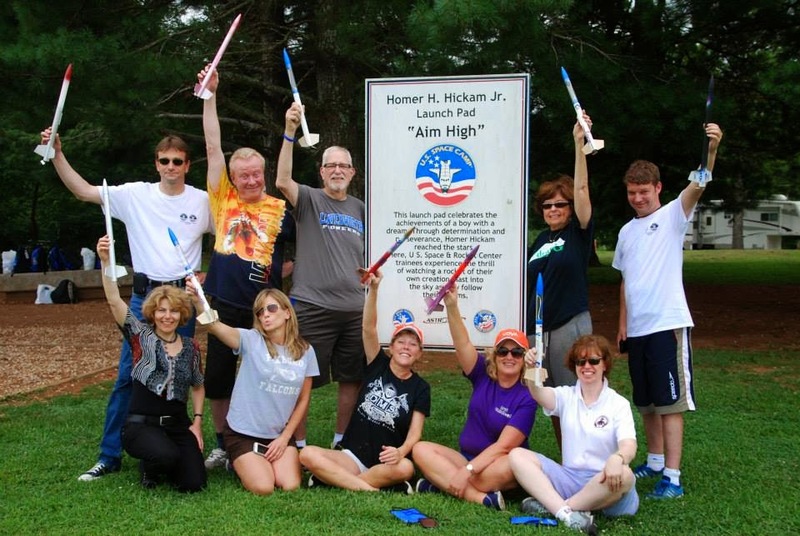 Our shuttle team could not find the solution for an anomaly, and the Space Camp people had to tell us what to do. 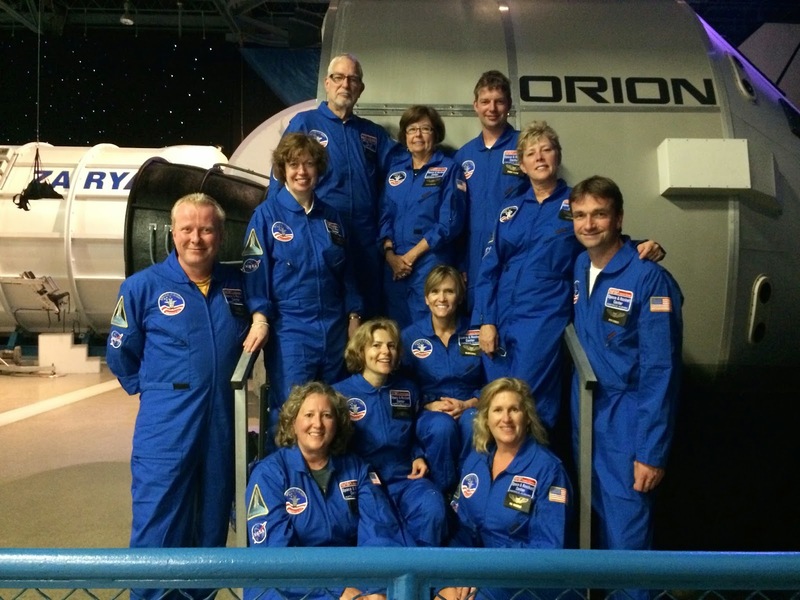 I was a Mission Specialist with Cordelia, one of the German teachers, and she was very nervous about the mission. At times we struggled to communicate with each other. 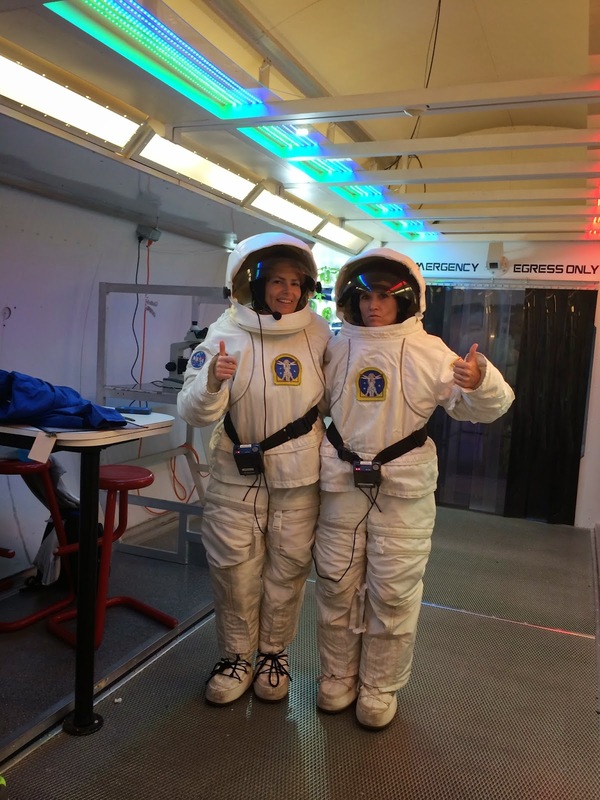 When we suited up to go aboard the lunar base camp Aurora, my headset failed within 5 minutes. It was extremely hot, and the low lighting made it hard to see what I was doing. At one point I was thinking, "Really? This is a simulation... what am I doing here?" I was ready to quit, but Cordelia saved the day. She was a champ. 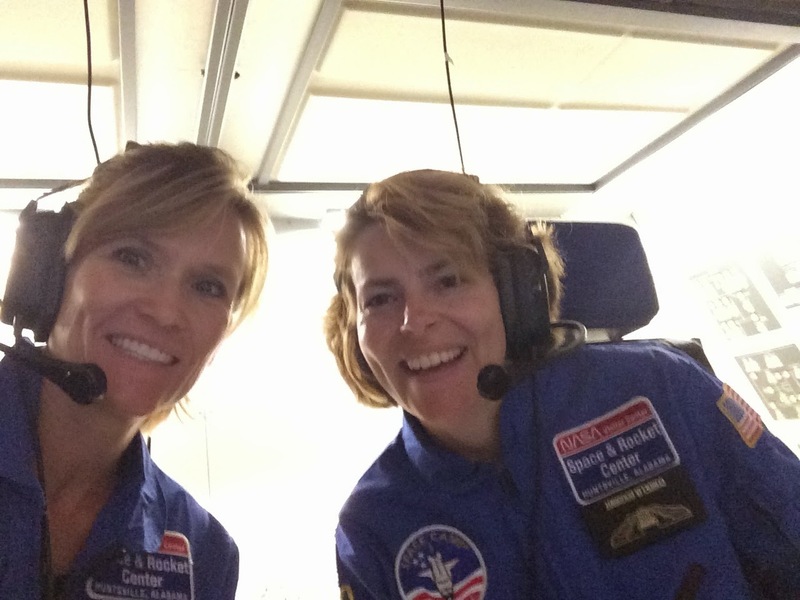 With her limited English, she communicated with Mission Control and was able to relay to me (both verbally and nonverbally) all that we needed to do to fix the staged problems and get back to the shuttle and out of our hot astronaut gear. How often do we underestimate the abilities of our ELL students? Do we pair them up with strong students who do too much for them? I am convinced that we should frequently let them know that we believe in their abilities and put them in situations that encourage them to shine. What a thrill to be invited to a traditional Southern dinner by the ladies of the Huntsville du Midi Social Club. 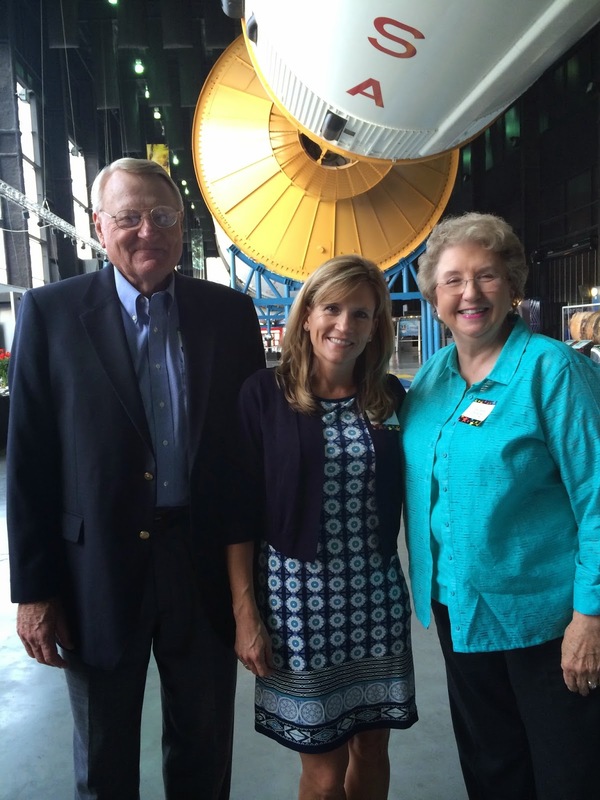 I was seated with Janice Allison and her husband, former NASA Rocket Scientist, Paul Allison. I also sat by Bennie Jacks, another retired NASA rock star. They were all so gracious to answer my questions and tell me all about their amazing careers with NASA. I never felt like a small elementary school teacher. They were so charming and seemed equally interested in what I do each day at school. How important it is for us to make connections with not just parents, but also with business owners and policy makers in our communities. We should never assume others in the community are unavailable or uninterested in what we do in public schools. We must reach out to make the connections with them. 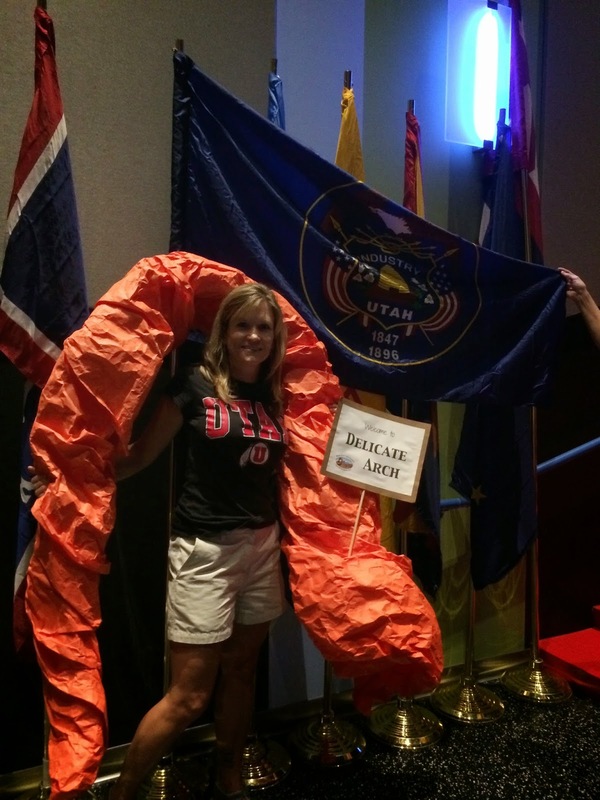 At Space Camp it's traditional to represent your state or territory with a costume. How much fun it was to see what each person chose. I wanted to showcase Utah's amazing National Parks, so I dressed as a hiker under Delicate Arch. To be honest, I got a few smart aleck remarks such as, "Oh, I thought that was an intestine above your head,". Nevertheless, I was proud to represent Arches NP, and it was so fun to learn something new about the history and culture of each state. How do we encourage our students to appreciate the differences in each other rather than just tolerating what they don't understand? Things can be tolerated: bad weather, a dog barking all night, burnt food. But people... people should not be tolerated... we should appreciate what makes them different from us. How often do we purposely open discussions in our classrooms about differences in culture, language and traditions that make people unique? What opportunities can we take to integrate cultural differences into our science and history curriculum? 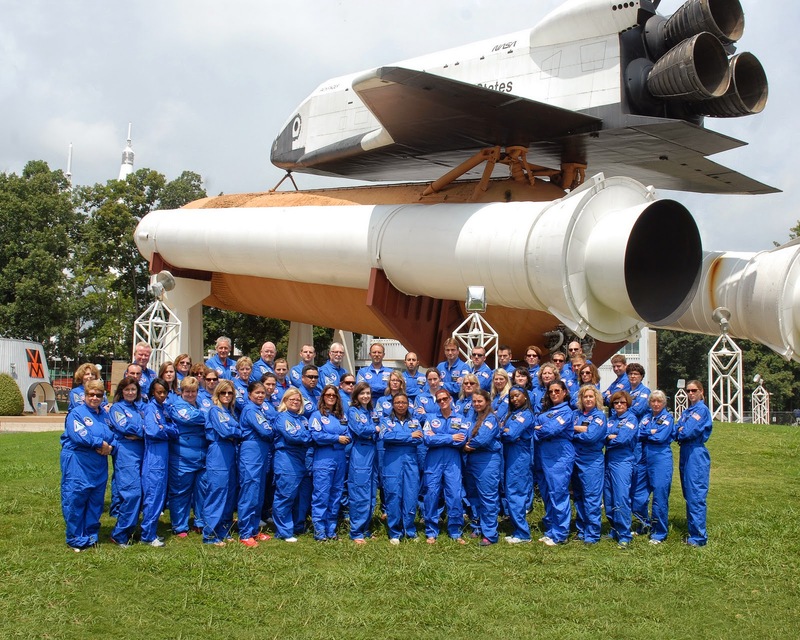 My experience at Space Camp was, for the most part, a precious chance for me to experience the role of student again... to remember what it's like to feel unsure of myself and uncomfortable in new situations. It was also amazing to feel childlike and curious about the job of an astronaut or rocket scientist. I got to use my own creativity while working alongside eleven of the most wonderful people on the planet. While I won't return to teach concepts of outer space, I will go back to my class with a renewed effort to focus on those non-cognitive skills that are so vital to success at school and in life. I am referring to skills like curiosity, resilience, work ethic, creativity, empathy, communication, and of course, TEAM WORK! Our students need us to provide the application of these skills every day in class. The work force demands these so called 'soft skills', but there is nothing soft or passive about them. These skills are necessary for our students to successfully apply the content they learn in school to situations throughout their lives. 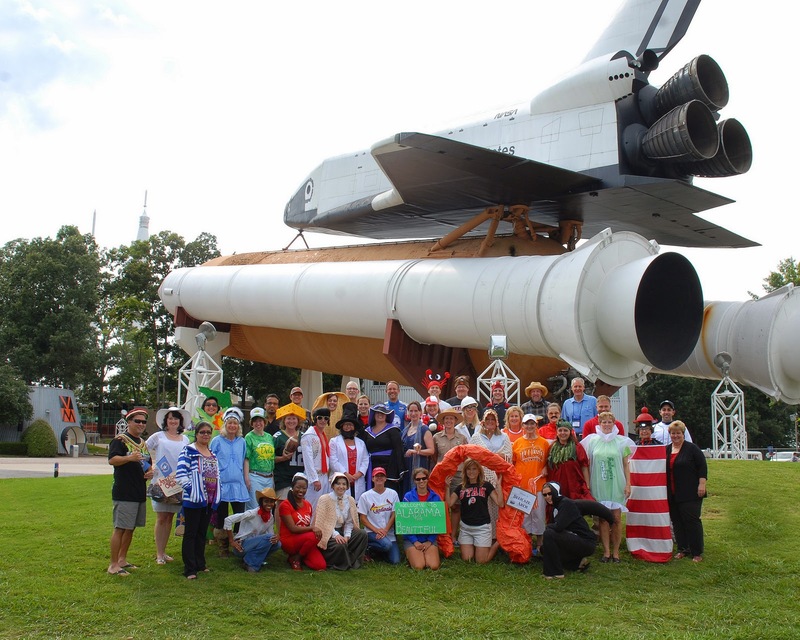 To my surprise, Team Kibo ended up winning an award for best Shuttle Mission! No matter the challenges, our team worked hard and succeeded. 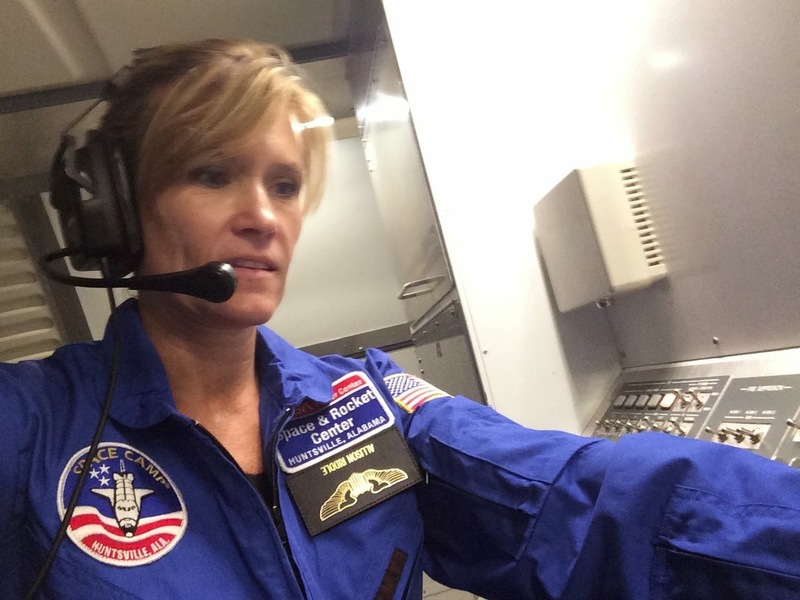 I won't be quitting my day job, but I did enjoy my week as Allison Riddle, Astronaut in Training!